If you don’t pay your property tax bill, expect your lender to reach out. Property taxes can be one of those homeownership costs that you don’t think about when shopping for a home. But they’ll hit you sometime during the buying process—there’s no hiding from them. Property taxes vary by state, county and even city, and are generally based on a home’s value. These taxes can be the main source of local government funding and can include other assessments, such as from a school or water district. They can also change annually if an assessment district raises its rates or if the value of your home changes. Your local tax assessor can tell you the tax rate for your home. If your home is valued at $300,000 and your local tax rate is 1 percent, then your property taxes would be $3,000 annually. Other fees and assessments could be added to it. New Jersey has the highest effective tax rate on residential property at 2.38 percent, while Hawaii has the lowest at .28 percent, according to the Tax Foundation. However much your property taxes are, there are two ways to pay them. An impound or escrow account is one way. This is set up by your mortgage lender when your loan is set up. The annual tax payment will be broken up into monthly payments that you’ll pay to your lender with your mortgage bill each month. The money for your property taxes is put into an escrow and the lender will pay your property taxes when they’re due. Some lenders also collect homeowner’s insurance payments this way. When your mortgage is paid off, you’ll be responsible for paying property taxes on your own. You can also pay your taxes directly to your county tax collector or the appropriate government office that collects them. As part of your loan provisions, your lender will require you to pay property taxes when due. If you don’t, it could consider that a default and foreclose on your property. Making all of your mortgage payments on time won’t make up for missing a property tax payment, at least in theory. Why does a lender care so much that you pay your property taxes on time? Because if they’re unpaid and the tax assessor (the county) puts a lien on the property, then the property can’t be sold until the taxes are paid. 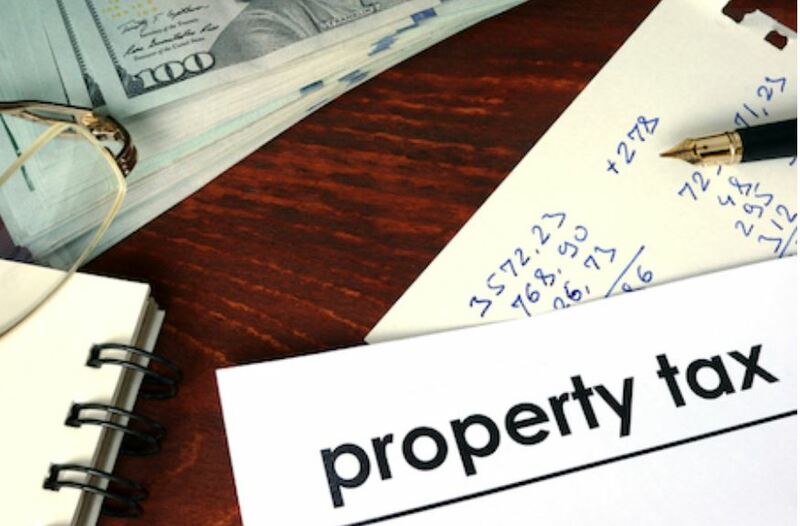 Those unpaid property taxes hold more power over a lien than any other rights the lender has. If the lender gets the property back through foreclosure, it will have to pay the unpaid property taxes— and that’s a cost lenders don’t want to bear.